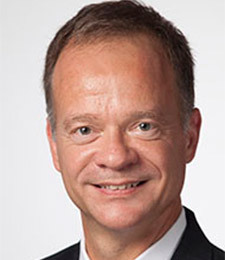 Scott Emmons, professor of music education and Dean of the Peck School of the Arts, joined the University of Wisconsin-Milwaukee faculty in 1992. Dr. Emmons is a widely sought clinician in the field of technology for music educators. He is also one of the founders of the national New Horizons Band for Senior Adults program. Emmon's work is represented in over 30 books published by Silver Burdett Ginn, MENC, and GIA. He is also the author of articles published in the Music Educators Journal, Teaching Music Magazine, and the Wisconsin School Musician. Emmons holds degrees from the Eastman School of Music, Northwestern University, and Southwest State University (Minnesota). His public school experience includes band directing and teaching general music in both Wisconsin and Minnesota. He has served as a regional representative to the Music Educators National Conference and the state council of the Wisconsin Music Educators Association. Emmons has guest conducted and presented workshops throughout the United States, China and in Australia.